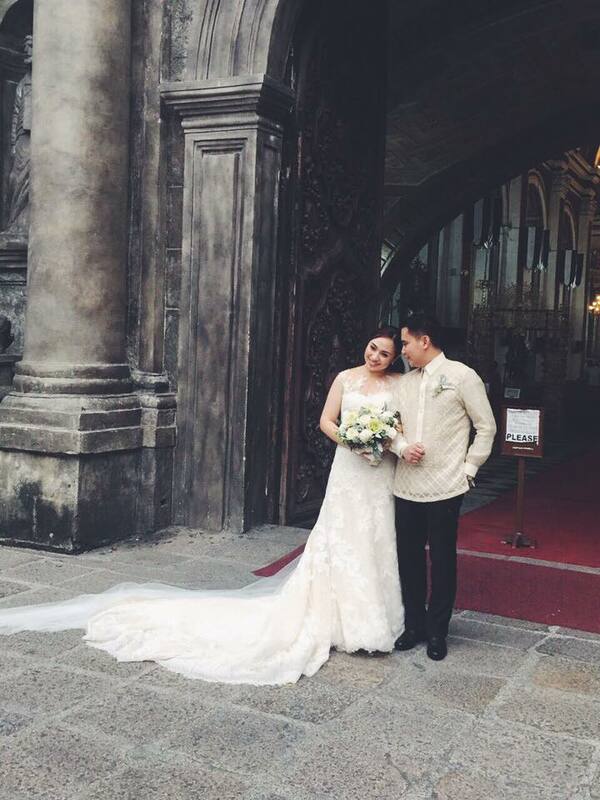 I was in Manila for my cousin's wedding last week. It was super timely that they decided to have it during the 4-day Mid-autumn Holiday in Taiwan more commonly known as Mooncake Festival; that way I didn't have to file for a long leave. I was deeply moved that my cousin asked me to be a part of her entourage. I know she has a lot of close friends during high school to college days so I told her it's okay if she has other people in mind. Thank you, Gine, for thinking of me and letting me be a part of your special day. Your wedding also served as an opportunity for us to spend time with the family, to bond with cousins and relatives I have not seen in ages, and to get all dolled up for the occasion. 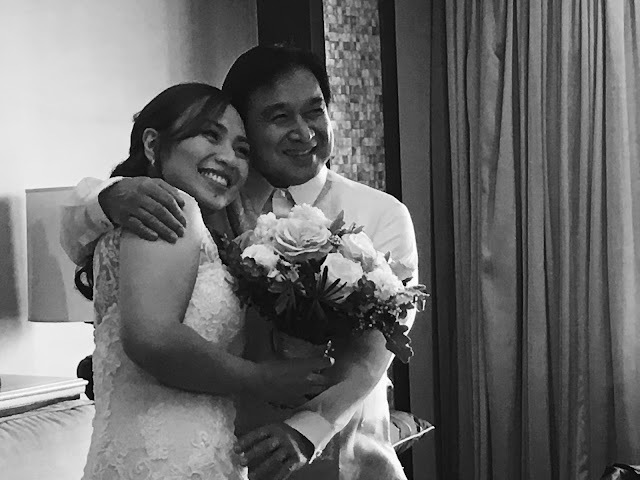 My uncle Boy, dad's youngest brother, tried his best not to cry but he sobbed like a little boy when the groom lifted his bride's veil to kiss her after being proclaimed husband and wife. You're blessed to have found one another. Dear WRC, please please take good care of my cousin. I can't wait to host the two of you here in Taipei. Our baby cousin Rob was my partner. He was very emotional the entire time because he is really close to his sister. They are business partners, partners in everything. The two have such an admirable sibling relationship. I was delighted when my cousin told me she invited one of my best friends, Joy, to her wedding. The two of them worked together in Green Media Group, DLSU's events org. Joy originally thought of crashing the wedding haha! Thank you, Joyerz for delivering the cupcakes for the bridal shower!!! I loved loved loved our make up. I asked the make-up artist to create a natural look, and she did a wonderful job. My mom looked so radiant! If only I can replicate what the artist did, pero paglagay pa lang ng foundation sablay na ako. It is very seldom that we get together as a family specially now that we're all grown up, but when we do, we try to make the most out of it. Until the next wedding!